Get seen and sell your products where customers buy! We bring the topmost frameworks at your service. Fuel up your sales in minutes and get access to the most effective and desirable solutions. 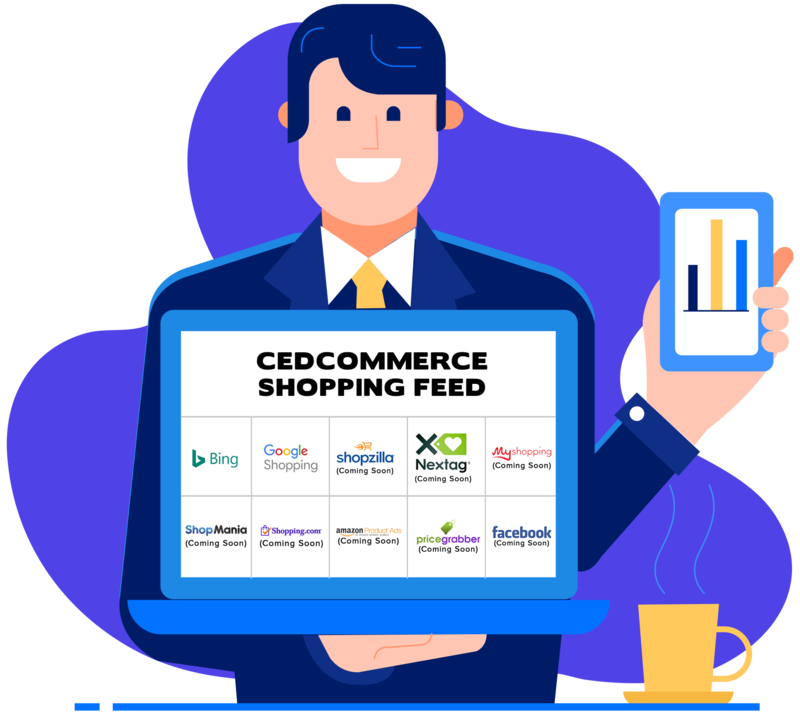 Drive your eCommerce store into the next big thing with CedCommerce Shopping Feed! Our ultimate shopping feed solution brings you the finest comparison shopping feeds to drive larger traffic. Moreover, Comparison Shopping Engines are said to render a total of 5-50% revenue on your total sales. Said to gain 30% more clicks than a text ad. These shopping feeds are embedded with the most compelling features viz automation, customization, and optimization. 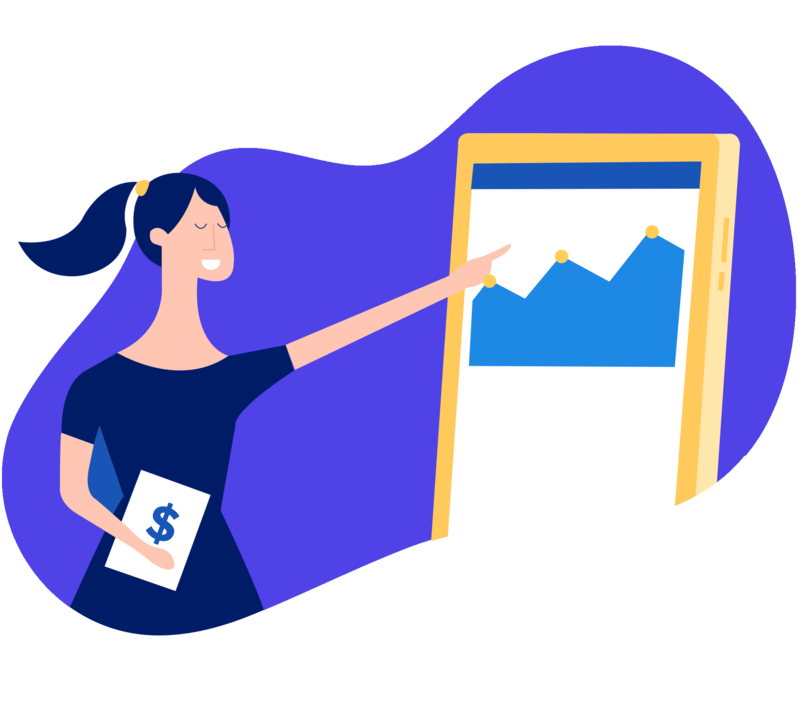 The Comparison Shopping feed proves to meet all the hurdles and enables you to sell products on platforms your customers buy from. We also bring you the opportunity to leverage ONE CLICK FEED UPDATE on Google shopping engine, Bing shopping engine, Nextag shopping engine and 50+ renowned channels via our effective shopping feed solutions. Completely integrated to inventory changes, sync product updates flawlessly across all the platforms. Easily add product categories, custom labels, attribute and bulk product values either product by product or in bulk. Unleash the trading potential of your products- GET SEEN GLOBALLY! What if we say → you GET THE MOST OF YOUR LEAST EFFORTS? 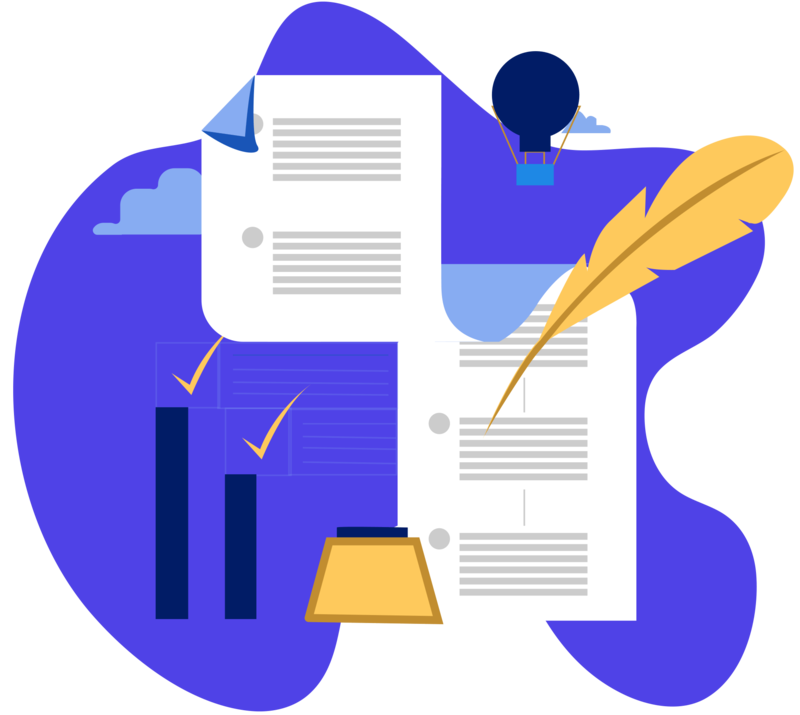 Designed exclusively to List, Sync and Manage your data feed with top comparison shopping engines. CedCommerce Shopping Feed lets no stone unturned to raise your ROI (Return On Investment). Comparison Shopping Engines are helping millennials remain on TOP. Join the race, and integrate your eCommerce store with top Comparison Shopping Engines-Today! The Comparison Shopping Engines expands your products reach beyond your website. Hence, bringing increased visibility, IMPROVED CONVERSIONS, and brand exposure. When Comparison shopping engines are ruling the eCommerce arena. CedCommerce Shopping Feed makes sure to make you updated with every little happening about CedCommerce Shopping Feed across the globe. Easily avail the elite features of the double feed option viz manual and API with CedCommerce Shopping Feed. Stay informed about shopping engines with our exclusively informative blogs. Enable your customers compare prices and assist them in finding the apt products. Consolidate all product variants with their unique identifiers such as- MPN, GTIN and Variant specific attributes. CedCommerce Shopping Feed brings you the opportunity to feed your products viz two methodologies i.e. Manual and API. CedCommerce Shopping Feed creates product feed in an acceptable format whose URL can be simply pushed by merchants. The CedCommerce Shopping Feed bestows the product feed directly onto the merchant’s account. It instantly automates the product updates. Your assurance is our prior most concern! With CedCommerce shopping Feed you can rest be assured that no one except for you can access your product feeds. SEO is the King! Your product feeds and listings are completely SEO friendly with CedCommerce Shopping Feed. Optimize your product titles, descriptions and all other attributes instantly. Already a seller on Walmart? Great indeed! Leverage the opportunity to instantly categorize the product feeds on any of the channels the same way as it is listed on Walmart. Hence, saving your time and making things super flexible for you. Avail the feature to auto map “all” the optional attributes of specific shopping engine with your desired marketplace. Add the products in minutes with the advanced search filters and select ‘all’ products from your eCommerce store in one go. CedCommerce Shopping Feed avails you the benefit to input bulk upload attributes viz size, color etc. in one go. Acknowledge the approval/disapproval of your product feeds on the shopping engine instantly. Synchronize your marketplace’s product data fulfillment along with any product feed updates automatically with CedCommerce’s shopping feed. 7* days FREE trial service awaits! CedCommerce is successfully providing integration to more than 3500 clients across the globe. Being a proud winner of Deloitte Fast India Program consecutively for two times in a row. CedCommerce was featured among the glorious winners of Deloitte APAC program. CedCommerce efficiently facilitates its clients with the best services possible. Happy to Help: We work to drive your eCommerce store better than the rest! Your satisfaction has always been our concern. Our team provides you “round the clock support service”. lease reach out to us at any hour of the clock. We are happy to assist you 24*7. The constant determination and hard work of our team have led our clients to successfully sell approximately 50 million+ gmv across the globe. Needless to state, this number is increasing day by day. Happy to Help: We work to drive your eCommerce store better than the rest! Your satisfaction has always been our concern. Our team provides you “round the clock support service”. Please reach out to us at any hour of the clock. We are happy to assist you 24*7.